Home›Reviews›a-ha - Classic New Wave Pop Rockers Return with Cast in Steel! a-ha - Classic New Wave Pop Rockers Return with Cast in Steel! A-ha was one of the top bands of the 80s pop/new wave scene, scoring their share of hits on the charts in multiple countries. These Norwegian musicians will forever be known for their classic 80s anthem “Take On Me,” but they have remained active for years, and recently reunited for a new album and tour. 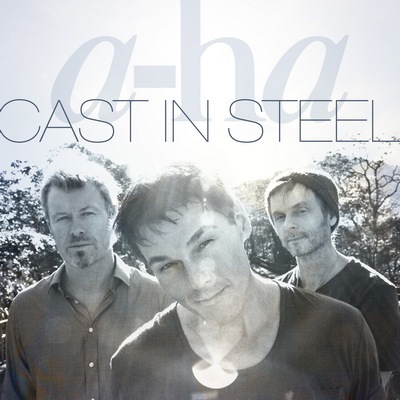 Cast in Steel is a-ha’s first album in several years, so needless to say, expectations are high all around from fans across the globe. The group has a strong legacy, more so than many other bands of the era. The fact that they remain relevant and continue to entertain audiences should say something; this is a band that has persevered even amidst the most major of changing music industry trends. For Cast in Steel, the group has reunited with producer Alan Tarney, who last worked with the band on their 1988 record, Stay on These Roads. What does the band give their audiences on this, their latest record? I admit, I am not as familiar with a-ha’s music as the die-hard fans who rushed out and bought this album the day it came out. Despite that, I was eager to check out this release, and see how the band was faring in this day and age, still recording and giving audiences a surprise reunion album. I am pleased to report that this is a surprisingly diverse and mature album, giving audiences a solid selection of tracks. It is hard to believe it has been 30 years since the band released “Take On Me,” which was by far their biggest global hit. Time has not caught up with the Norwegian pop trio; Cast in Steel features some of the band’s finest music in years. There is material that is far more mature and contemporary, yet they still manage to find a balance between that and the synth pop of their classic era. The end result here is musically diverse and one that no fan of the group should be disappointed with. Fans of the 80s new wave era will be pleased with what they hear here, but will also be enthralled to hear the band treading new, more mature musical ground as well. 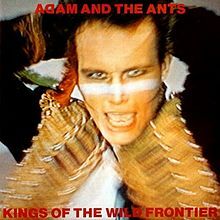 The result is a fantastic package of music that certainly does not feel dated, or like an “aging” band. It is good to not only see a-ha back in action after what was supposed to be their retirement, but also to hear them release some of their strongest tunes in years. If you are at all a fan of the band, Cast in Steel will make a fine addition to your music collection. Highly recommended! Two Steps from the Move - Rock Candy Records Reissues this Landmark Hanoi Rocks Album as a Two Disc Set!